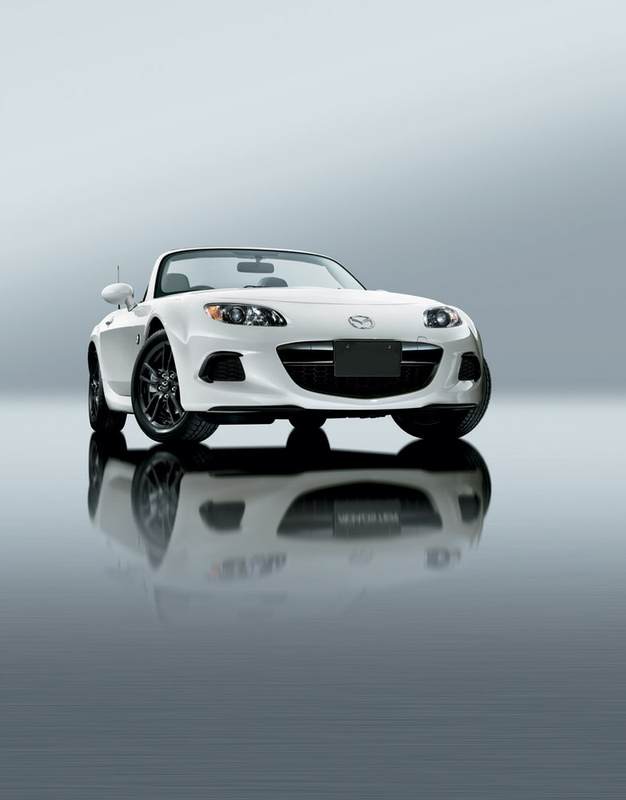 Early in May, Mazda announced that they were opening a preorder program for the 2015 Miata 25th Anniversary Edition, which was set to open on May 20, 2014 promptly at 10:25 AM (Pacific time). As soon as the pre-order microsite opened, 250 registrants accessed it to get their hands on this classic roadster. The special edition car sold out in a few minutes. The anniversary 2015 Miata will arrive at dealerships later in the summer with a starting price tag of $32,205 for those looking for a six-speed manual transmission and $32,655 MSRP for those with an automatic. Here at Wantagh Mazda, we sure are excited to get this car on our lot! June is just around the corner and that means summer! Do you taking any summer vacations this year? What about just a weekend road trip? We hope so! You deserve a break – if only just for a few days! If you are planning to take off in your car somewhere, we have some tips to help you prepare your car. We want to make sure you don’t run into any bumps or hiccups along the road during your summer travels! Get a tune up. Schedule an appointment with our great service department here at Wantagh Mazda . James, Gary and their staff will make sure your car is ready to hit the road. We can change your oil and check your battery, tire, fluids, brakes, and anything else you might need. We’re even offering a special on all these things too – check it out HERE! Pack lightly. Clean out your car and remove any unnecessary items. Check the load limit on your car so you don’t overload it. Note: this limit does include passengers. Besides heeding this limit for safety, any extra weight will only decrease your fuel efficiency. Bring a GPS. Most people have smartphones now that have a GPS program incorporated into the phone. If you have a standalone unit, consider bringing that along, too. Drive safely. Don’t drive when you’re feeling sleepy. Take a break or switch with another driver. Have fun. You’re on vacation, enjoy it! So we want to know! Where are the roads taking you this summer? Mazda is celebrating the 25th anniversary of the MX-5 Miata this year. As part of the grand celebrations, it will be entering the MX-5 into the grueling Nürburgring 24 Hours race in Germany on June 21st. JOTA Sport will help Mazda get the MX-5 ready for the track and manage the team. Four drivers will take turns behind the wheel during the 24 hours, including Owen Mildenhall, Wolfgang Kaufmann, Teruaki Kato, and Formula One driver Stefan Johansson. According to Mazda, the MX-5 that they will race will be mostly exactly like the regular stock version of the Miata. Only the necessary safety upgrades for motorsport racing will be the only changes. That means that it will be competing in the V3 class with other production cars powered by 2.0-liter naturally-aspirated engines. It will be exciting to see the NC version of the MX-5 go through one last hurrah before the all-new ND model bows in next year. The race begins June 21. Join with us here at Wantagh Mazda as we cheer on the Mazda team. Welcome to the New Wantagh Mazda Blog! We would like to send a warm thank you for visiting the Wantagh Mazda blog. We are working diligently to bring you the most up-to-date and useful information regarding Mazda cars and SUVs, as well as driving and safety tips, current Long Island events, and finally anything revolving around our dealership. If this is your first time to the Wantagh Mazda blog, we invite you to look around, read our posts and leave a comment. For those of you returning, welcome back! We hope you enjoy what you see and read. We want to remind you to visit often to find new information about special offers and relevant Mazda news. From all of us at Wantagh Mazda, welcome to the new Wantagh Mazda blog! Posted on May 13, 2014 May 13, 2014 Categories Wantagh Mazda newsTags welcome to our blogLeave a comment on Welcome to the New Wantagh Mazda Blog!